Home Posts tagged "book of success tips"
Published on March 4, 2014,	by Tina O'Connor in A Thought on Positive Thinking, Being Organized, Get what you want., Success Laws. “Where is the retainer?” A week and a half ago, my oldest daughter Trinity lost her retainer. ~Sigh~ Despite our every attempt to locate the retainer, it was still nowhere to be found. Those of you who know me, know that I keep a neat and sweet little house, with a place for everything. 4 Recipes to Get ‘er done right with Christmas this year! 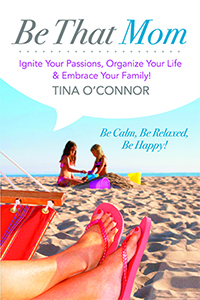 Published on December 14, 2013,	by Tina O'Connor in Be Organized, Be That Mom, Being Organized. 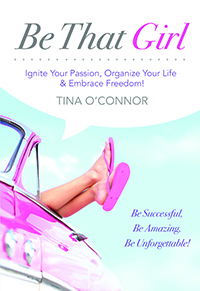 Published on November 20, 2013,	by Tina O'Connor in How Can I build Confidence?, Release Your Inner Girl, Uncategorized. Time to Shoelerize with this Awesome Giveaway! Published on March 27, 2013,	by Tina O'Connor in Giveaways. Pack yourself happy… EVOC Terminal Bag Giveaway! 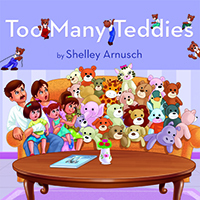 Published on March 12, 2013,	by Tina O'Connor in Giveaways. Can Anyone Cook Dinner? I put Sandi Richard’s New Cookbook to the Test. Published on February 21, 2013,	by Tina O'Connor in How can I deal with Stress?. Success Laws: Be careful what you wish for? Published on January 27, 2013,	by Tina O'Connor in A Thought on Positive Thinking. Practice Win-Win when dealing with your kids. Published on January 6, 2013,	by Tina O'Connor in How to better a relationship. 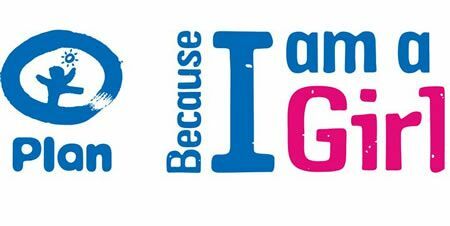 8 Laws to Success from Be That Girl! Published on December 9, 2012,	by Tina O'Connor in Success Laws.